Wharton Professor Mauro F. Guillén was honored this week with the 2013 Faculty Pioneer Award from the Aspen Institute’s Business and Society Program, for conceptualizing and designing curriculum that examines the role of the corporation in society. Guillén, along with a professor from Spain’s ESADE Business School, is commended for his demonstrated leadership and risk-taking in “integrating complex business and society issues into the classroom.” An award ceremony will be held in New York on Sept. 26. 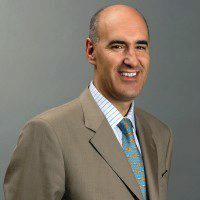 Guillén, the Dr. Felix Zandman Endowed Professor of International Management and Director of the Joseph H. Lauder Institute, has been with Wharton since 1996. He is also a recipient of Wharton Social Impact Initiative’s new Fund for Social Impact Research, for his studies on income equality and financial inclusion. Professor Guillén explains the winning class, International Political Economy of Business Environments, in the video above. “We cover issues such as how issues such as macroeconomic policies affect businesses. We also discuss issues such as what’s going in the industries of the 21st century, such as green energy or private equity. And of course, we spend a great deal of time trying to understand how different institutions around the world, in different countries, affect innovation, technology development, and also corporate governance,” he says. Based in Washington, DC, The Aspen Institute is an educational and policy studies organization dedicated to fostering leadership, nonpartisan policy analysis, and social change. Winners and finalists were selected by a committee of Aspen Institute staff and academic advisors from New York University, University of Denver, and University of Toronto, and lauded for tasking students with broad questions about the primary responsibilities of business. Read more at Wharton News.